Parents beware: Doctor assumed my daughter had an eating disorder, and she died from stomach cancer. Judgmental doctor said my sick daughter was starving herself with an eating disorder. She had stomach cancer and I had to watch her die after misdiagnosis left it too late to save her. Waking up in the middle of the night, I heard Georgia run from her bedroom to the bathroom, she slammed the door shut behind her. “You okay Georgia?” I asked, as I opened the door, tying my dressing gown. “I don’t know mum, my cold has seemed to turn into a stomach bug,” she replied, looking pale. “Aww poor you, you haven’t been well at all recently have you?” I said, handing her a glass of water. Georgia was only 18-years-old, but recently she couldn’t keep any food down. She had severe stomach cramps, she was always tired, breathless and was lacking the energy a normal 18-year-old would have. It was June 2014 and Georgia and I went to the walk-in-centre in our home town of Rotherham. She had been feeling under the weather for about six-weeks now, we were becoming quite concerned. As the doctor called her name my stomach tightened in nervous knots, god knows what Georgia must have been feeling like. “Right, what can we do for you today Georgia?” The doctor said fiddling with his computer. “Recently, I’ve not been feeling very well, it’s really difficult to keep food down. I fell really tired all of the time and my tummy keeps cramping up in painful knots,” she replied looking concerned. 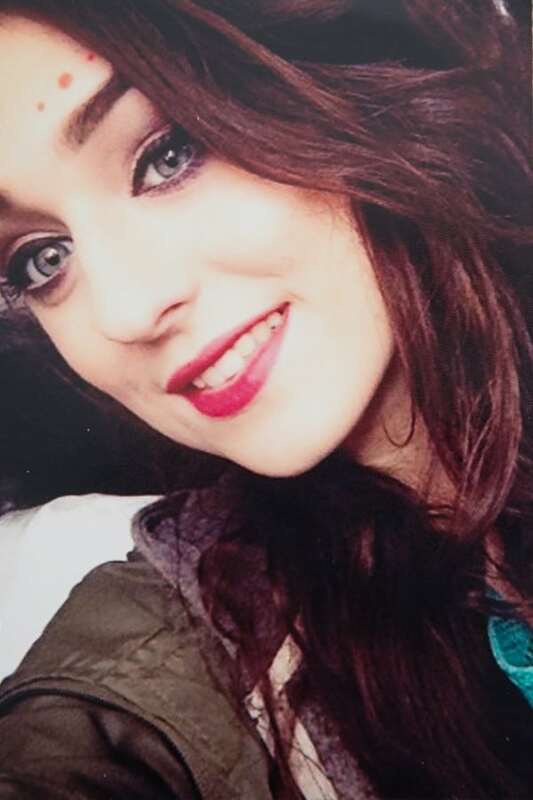 The doctor took one look at her and said: “Georgia, you are looking very pale and I know what you 18-year-old girls are like for wanting to look like stick insects.” Georgia and I were really taken a back, the doctor hadn’t even spoken with her about her symptoms, and he just looked at her and judged. We were in absolute disbelief. We didn’t say anything. We were both so shocked to have heard what the doctor had just said. After taking her blood pressure, checking her weight and her temperature he quickly referred us to our GP for further tests. “Well he was rude!” I said to Georgia as we left the walk in centre. “Oh I know, no need for that,” Georgia replied, holding her tummy in pain. I booked an appointment the very next day and after more blood tests, weighing and scans, the doctor came to a quick diagnosis. “I think you have something called dietary anaemia. It’s a simple case of lack of iron, meaning you have less red blood cells in your body than normal, nothing to worry about,” he said smiling. Our GP prescribed her some iron tablets and sent us on our way. “That seems promising, at least,” I said giving Georgia a half smile. “I know, at least it’s nothing to worry about,” she replied, her stomach cramping in pain. My mother instincts kicked in and I knew there was more to Georgia’s illness. As the weeks went on she wasn’t getting any better – her vomiting was worse, she was losing so much weight, but her small tummy remained bloated. “Mum, what can I eat that will taste nice on the way back up?” She said laying on the sofa, wrapped up in a blanket. I looked at her and laughed, but inside I felt so sorry for her. A week later, we went to visit another GP who prescribed her anti-sickness tablets, he suggested that it could be the iron tablets making Gorgias sick, he changed her to a liquid form to build up her red blood cells, which would be softer on her tummy. “Why doesn’t anyone believe me?” She asked. I grabbed her tightly and pulled her in for a huge hug. “I believe you,” I replied. Over a matter of eight weeks, we had several appointments with different GPs, but nothing prescribed was helping my poor baby’s illness. The next time we visited the GP he explained our test results, her bloods were normal, minus her low blood count, but she also had an extremely high result from her inflammatory blood test – which the nurse cast a side. “Thinking about it Georgia, your eye has been swelling up recently hasn’t it, maybe it’s something to do with that?” I asked the nurse. “Oh no, it’s absolutely nothing to worry about, were not concerned about this test,” she said happily. “Surely they should be?” I thought to myself. She told us to leave, and again reminded Georgia’s to keep on top of her iron tables – there wasn’t anything else she could do. It was now July, the sun was shining outside and Georgia should be out with her friends enjoying her last summer before leaving for university. But she was stuck in doors in her pyjamas, wrapped up in a blanket on the sofa with a sick bucket next to her. “You poor thing,” I said siting down beside her. She gave me a half smile, to weak to even respond. It was eight weeks after our first appointment and Georgia wasn’t getting better. She was looking paler by the day and her energy levels were at an all-time low. “Excited for university?” I said to Georgia in a bid to make her smile. “I can’t wait, she replied, let’s hope I can start this term,” she said quietly and slowly. 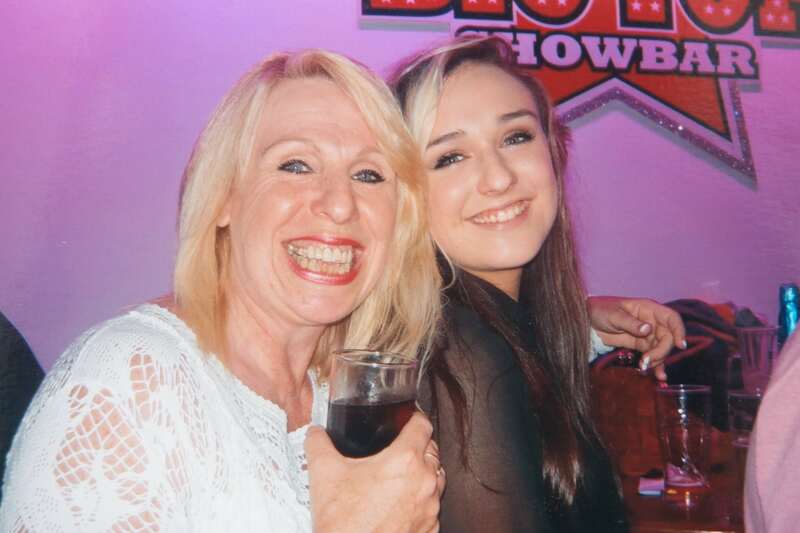 In just over two-months, Georgia was off to Sheffield University, she managed to secure a place there studying English-Literature and I was so proud of her. But, I knew she wouldn’t be well enough to start in September. As our GP and her our local walk-in-centre wasn’t any good, I booked for Georgia to go private. I had had enough, it was weeks since Georgie was able to keep down a morsel of food, so I placed her in the car and off we went. “Mum, I don’t feel so good,” Georgia said as we walked into the private clinic. Then, horror struck, Georgia collapsed on the stairs outside the doctors room. She was so weak and unwell, I was frightened she wouldn’t pull through. The doctor came out to make sure everything was okay. “How long can a person live without eating food?” I screamed at the doctor, picking Georgia up from the floor. “Well she’s been drinking hasn’t she?” He replied. “How long?” I said snappy back. He took one look at Georgia’s and helped me lift my fragile girl into a seat. Georgia’s health was seriously deteriorating, she had lost two-stone in a matter of weeks and she was becoming ever weaker. “Why is no body helping us? It’s as if were in the med evil days,” I screamed. The doctor took Georgia in for a valuation, and again, they couldn’t find anything wrong with her – it was heart breaking. They once again, said that she needs to keep taking her iron tablets, and to see how she got on over the weekend – I instantly booked another appointment for three days’ time as I knew she wasn’t going to be any better. And, as I have expected, her condition worsened. We were told that she had to wait another week for her Endoscope appointment, where the doctors would insert a camera into Georgia’s body, to make sure everything was in working order. “Another week? !” I cried out. “Look at her, look at my baby, she’s wasting away before my very eyes, and you’re telling me that I have to wait another week to see a specialist? Well I’m not leaving until somebody sees to her,” I said nearly in tears. “I’ll see what I can do Mrs Marrison,” the nurse replied. I stroked Georgia’s head. She was so small and so pale and so weak and she was still being sick. “Good news Mrs Marrison, we’ve had a cancellation this afternoon, Georgia’s can be seen then,” the nurse said rushing back towards us. Her stomach was so bloated they had to drain eight litres of fluid off from around her ovaries. She was admitted and transferred to Royal Hallamshire hospital. What the doctors were about to tell us ripped my world apart. Doctors found the reason for her sever sickness, her weight loss and her lack or energy. It was stomach cancer. “The cancer had spread to her eye and ovaries and she also contracted meningitis – a rare side effect of cancer,” a doctor explained with sympathy. “It’s too late to operate and chemotherapy isn’t an option, it’s already spread too far,” he said, his voice full of sorrow. Georgia was distraught, she didn’t say anything, and she just looked at me and cried. She was diagnosed on September 21st, the day she was meant to be moving into her halls of residence, starting her new life, meeting her new friends. 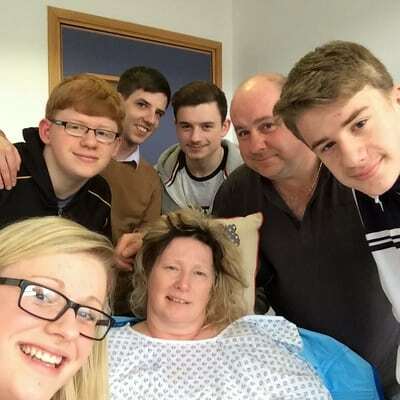 Instead, she was moved into the teenage cancer unit. My world fell apart when she eventually died six weeks later on November 11th. Hundreds of people attended her funeral, where mourners wrote messages on her beautiful white coffin. I’m now raising awareness of the devastating affects which teenage cancer can have on the young, and how doctors shouldn’t be dismissing it. It was a horrendous time for her. My hope now is that she didn’t suffer or die in vain. The outcome for Georgia couldn’t have been any different, even if it was detected earlier along the line, but at least she would have been made comfortable throughout her last days. I want parents reading this to think if their daughter or son is experiencing these symptoms then stop think ‘yes, I need to go back to the doctors’ with my child. Georgia was amazing. She never caused me any trouble and had a wicked sense of humour. I used to hear parents always say that their children look up to them but I looked up to her. She was incredible. 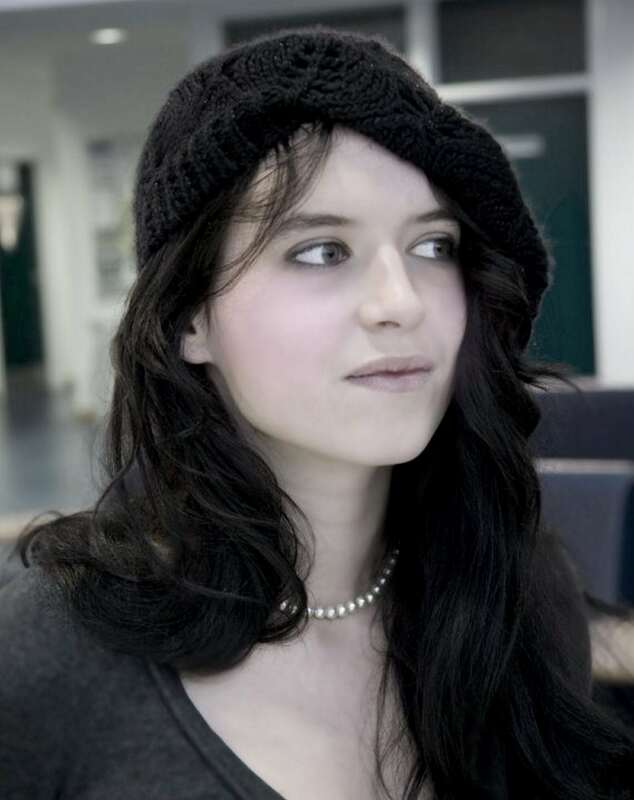 She won an award after her death for being the highest achiever in English Literature of her year, her college has now renamed the award to the Georgia Marrison achievement award, and it’s lovely knowing her name will live on in her college. An NHS correspondence Dr Robin Carlisle, Deputy Chief Officer at NHS Rotherham Clinical Commissioning Group (CCG), said: “Our sympathies are with the family for their tragic loss. 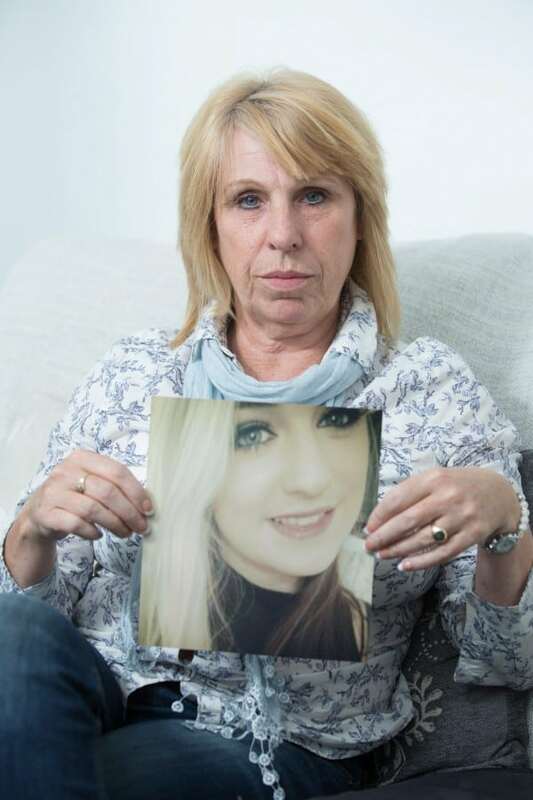 Sam Smith, Head of Nursing and Clinical Services at Teenage Cancer Trust said, “Sadly this story is not uncommon and is something we see time and time again in this age group. 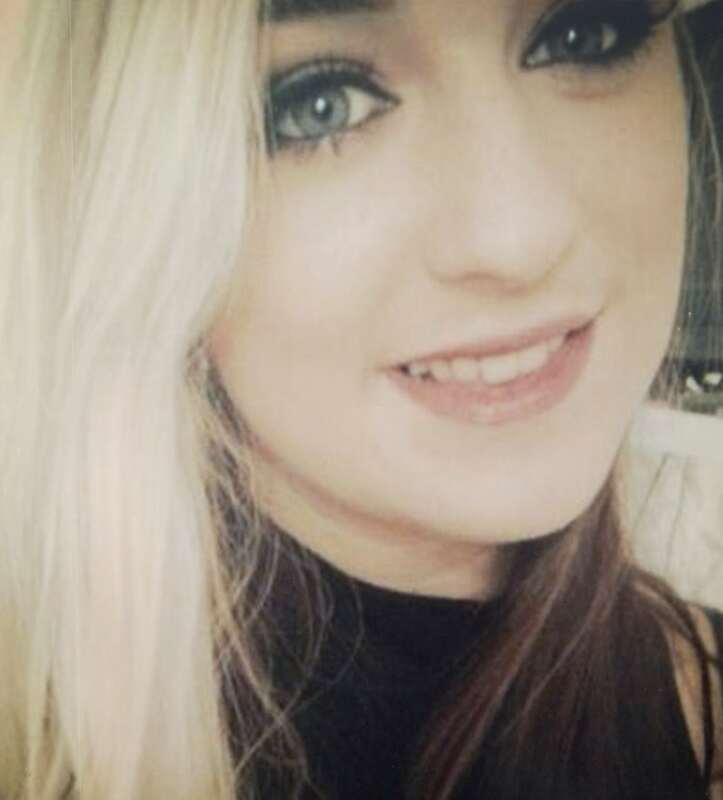 Their apologies will not bring Georgia back, but hopefully her death has prevented the death of hundreds, if not thousands of other young teenagers suffering similar problems. If you have a story that you would like to share with the press, or a cause that you would like to promote, we can help you. Our team are experts at securing you the maximum press coverage for your campaign. Not only do we guarantee the highest payments, we ensure that your story is told your way, with tact and sympathy. Tell us the main points of your story using the story valuation form and one of our trained journalists will get straight back to you to let you know if we can help you tell your story. For more information on the story selling process, read our Sell My Story page. Raising awareness: Too young for a smear? If you are considering raising awareness of a cause or campaign, and you have a story to tell – you’re in the right place. Read Sandra Cousins’ heartbreaking story below. We helped her raise awareness of her cervical cancer awareness campaign through the national press. Complaining of crippling stomach pains and irregular bleeding, Mercedes went to her doctor. She breathed a sigh of relief after being sent home with painkillers. But, when she started to take the pills, the agonising pain wouldn’t budge. Over the space of 12-months Mercedes visited the doctors several more times only to hear the same frustrating news – it was nothing to worry about. Mercedes’ mind was taken off her worrying symptoms when boyfriend Fred, 27, proposed. Screaming in delight, she pounced into his arms with a resounding ‘yes’. But the happiness didn’t last long. Just a few months later, when Mercedes’ pain got worse, her brother-in-law took her to A&E. She was quickly diagnosed with cervical cancer after showing all typical symptoms. But by then it was too late. Determined to fight the disease, Mercedes started radiotherapy and chemo. The gruelling treatment took its toll on the pretty student. And, after noticing her strength slowly deteriorate, she called off the engagement with Fed. She didn’t want him to be alone after she died. 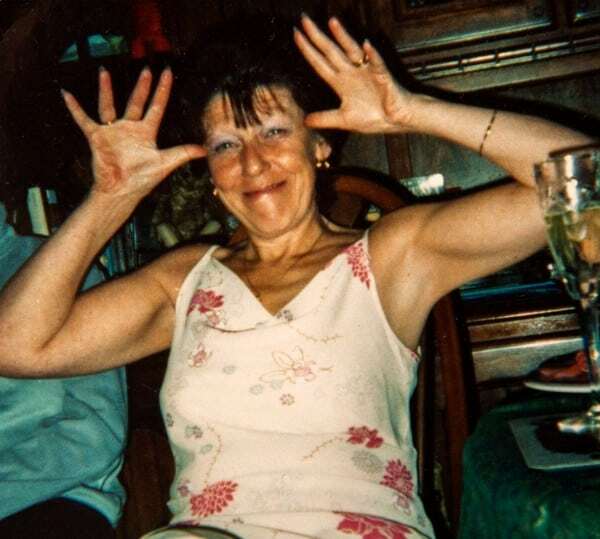 After 33 radiotherapy sessions and nine months of chemo, during which mum Sandra, 54, was constantly by her side, Mercedes passed away in her mother’s arms. She was just 23. 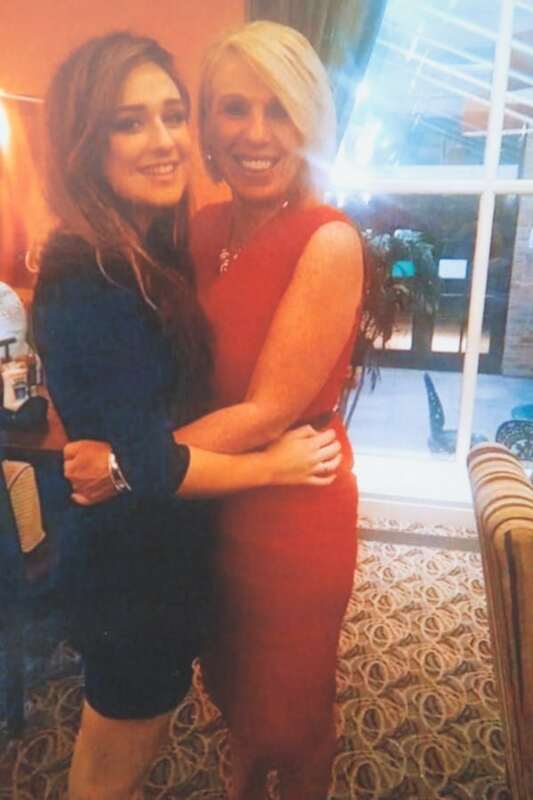 Now Sandra is determined to fight for a change that could have saved her daughter’s life – lower the age of smear tests to 20. She said: “Mercedes’ symptoms were ignored because of her age. “Had she had a smear test when she first went to the doctors she would still be alive today. “I had two children before I was 25 – the age when women have their first smear test. “It’s just horrendous that they don’t do anything earlier. I don’t understand it. “When I look back now I don’t know how we got through it. “I remember going shopping one day during her chemo and she was too weak to walk on her own. We had to find her a wheelchair. “I had to turn my back on her to wipe tears away without her seeing them. “Throughout her treatment she would try to remain her glamorous self, but I knew inside she was suffering. “She was looking at TV adverts one evening with all of the usual beautiful women and I saw it in her face – the pain that she is not going to look like that for much longer. “Mercedes was an inspiration. Before she died we talked about setting up a foundation to step up the fight against cervical cancer. “She wanted to go into schools and talk to young women. “She never got that chance, so I’m going to carry on with her mission.” Sandra hopes to bring about a change in the law to lower the age of regular testing back to 20. If you have an important cause or mission and you’d like to get your story into the national press, you’re in the right place. We help hundreds of people every month get their stories told. There is no better way to raise awareness in the national press. Simply fill out the story valuation form and we’ll let you know if your story is something we can use. What’s more, we’ll pay you the maximum fee possible for your story. Our service is free and nothing will be printed without your permission. To see more about how to sell a story to the press, read our Sell My Story page. Going out with a Bang! Widower Gary made sure his late wife went out with a bang – after turning her ashes into FIREWORKS and blasting her into the sky. 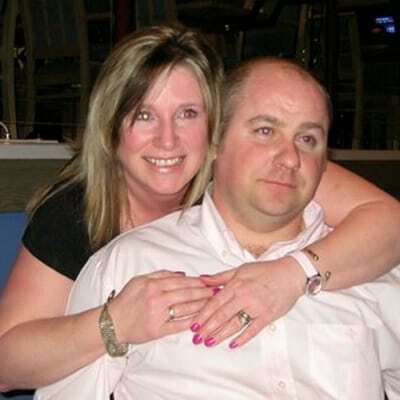 Popular Annette came up with the wacky idea with her husband Gary before she died aged 55 from cancer. So former Royal Marine, Gary, 55, fulfilled his soul mate’s dying wish by having her ashes piped into rockets and firecrackers. 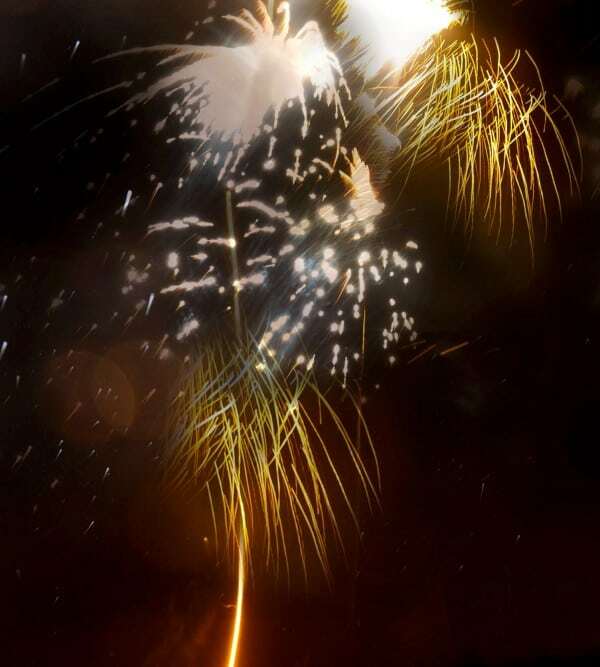 Annette’s friends and family joined him for a special memorial service on Saturday night – culminating with spectacular two-minute firework display. The couple had been married for 13 years before Annette died on September 11 following a long battle with cancer. After she was cremated Gary commissioned the £250 fireworks from firm Heavenly Stars Fireworks. Her ashes were then fed into gold tails, green peonies, crackling dragon eggs and red and blue chrysanthemum bursts before being launched at Devonport Park in Plymouth, Devon. Gary said: “She would have loved it. It’s a good way to send her off. “Our 13 years of marriage was the best 13 years of my life. We won the battle but lost the war. She was a keeper.” Co-op funeral arranger Hayley, who helped organise the display, said: “In many cultures the funeral is an occasion that brings the whole community together in a grand celebration of a person’s life. If you have a heartbreaking or heartwarming story you’d like to share with the national media for cash, contact us today – we’d love to hear from you. Simply fill out our confidential story valuation form to find out how much your story is worth. To see other Heartbreaking & Heartwarming stories that we’ve published recently, click here. At their 22-weeks scan, Sam, 24, and Brian,28, were handed the devastating news that Wyatt would be gravely ill when he was born. 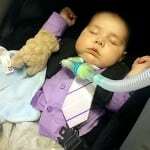 Poorly baby Wyatt suffers from a congenital diaphragmatic hernia (CDH), a condition found in only one in 2,500 babies. And just days after he was born the family were warned to expect the worst and were forced into a hastily arranged christening at the hospital. In the coming weeks Wyatt underwent a gruelling tracheostomy to allow him to breathe more easily. But the couple decided to remain positive and kept the wedding date they had booked two years earlier in the hope that their son could join them at the altar. Hospital staff promised the couple that they would make sure the youngster was healthy enough to go to the ceremony. 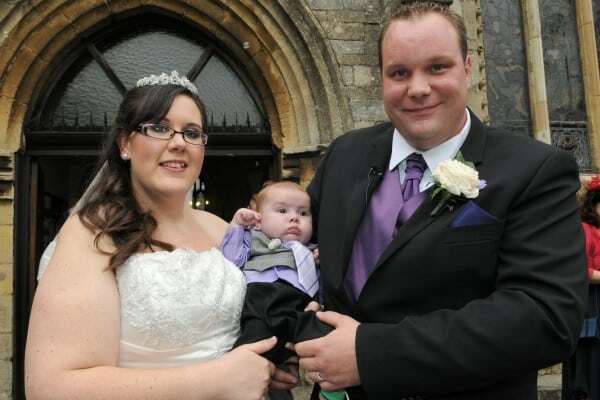 And on the big day, plucky tot Wyatt had made such a remarkable recovery, that he was able to leave hospital for the first time in his short life, to attend the wedding, where he smiled and giggled throughout the service. With the help of two nurses Wyatt – dressed in a dapper purple shirt and waistcoat – watched as Sam and Brian tied the knot. The brave youngster sat on his mum’s lap as she signed the register during the emotional 45 minute service in front of 145 guests. 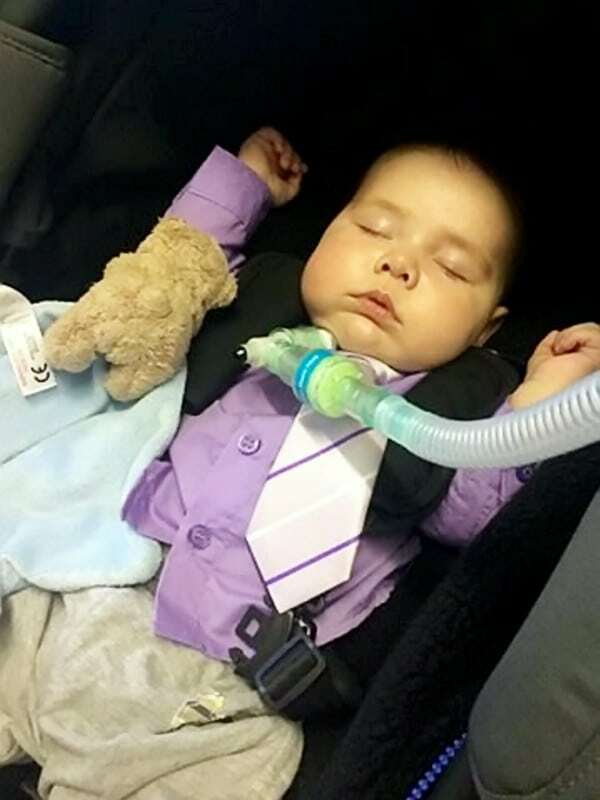 The pair had to fork out hundreds of pounds for two specially designed prams that could take Wyatt’s ventilator and oxygen tank just to make it all possible. Mum, Sam, 24, added: “It was fantastic and he was amazing. “I was convinced he would be scared but his heart rate was fine and he smiled.”When I arrived at the church I couldn’t see anyone else there but him, I was just concentrating on him, everyone else was a blur. We helped Sam and Brian share their story with Pick Me Up magazine as an exclusive deal. 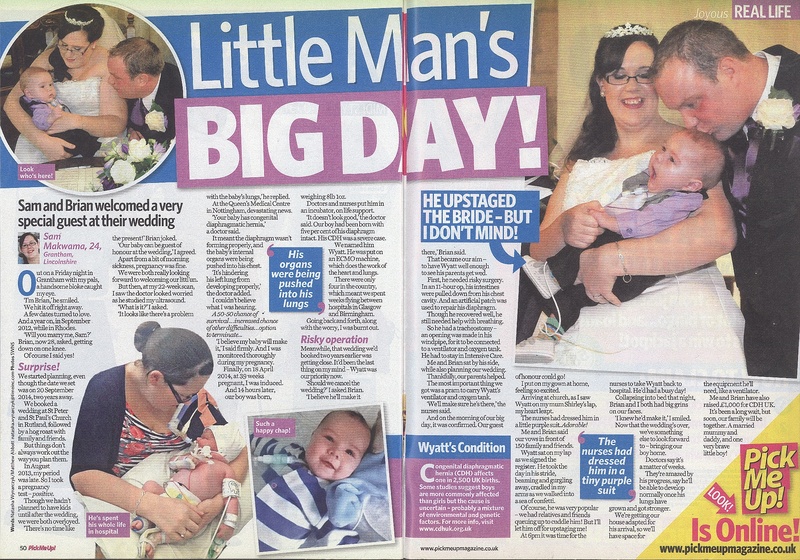 Pick Me Up magazine out-bid all other publications to win the rights to tell Wyatt’s amazing story. If you would like to tell your story, help others in a similar situation, or raise awareness of an important cause or issue, contact us today. You can read more about how to sell a story to the press here.